Today, we make things hot. 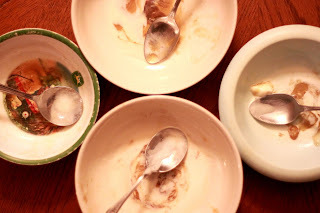 My brother-in-law and ex-Spago chef, Craig, made us a little treat for No-Bake Mondays. It's a cold winter day this side of the world and this should warm you up real nice (and if you're in somewhere tropical don't worry, it has ice cream). This rockstar dessert was made famous by New Orleans restaurant Brennan's some 50 years ago and now it's a flavor for ice cream, bread, cake, even coffee! Why it's so badass—bananas are flambeed with rum and served warm with vanilla ice cream. You're not afraid of a little fire, are you? 1. 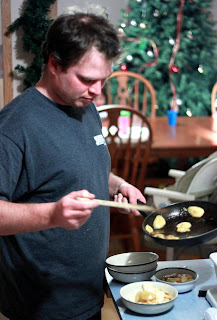 Combine butter and brown sugar in a skillet over low heat. Stir until the sugar dissolves. 2. 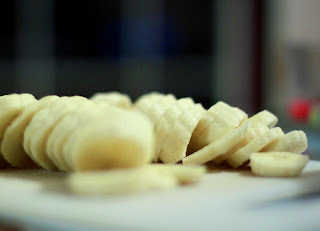 Stir in banana liqueur, add bananas and pinch of salt. 3. 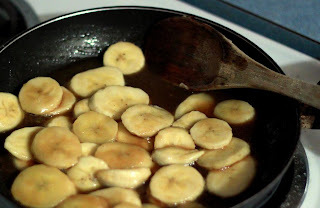 When bananas soften and brown, carefully add rum. Cook until rum is hot. 4. Here's the fun part: tip the pan a little to ignite the rum. Be careful! 5. 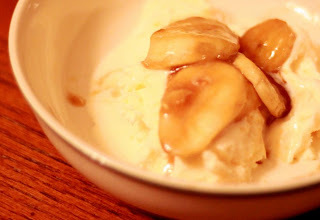 When flames subside, scoop out bananas into a bowl and top with ice cream. Enjoy, immediately. 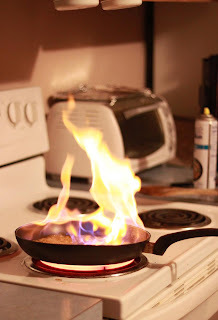 Scared you might burn down the kitchen? Check out this How to Flambe video on Videojug. I told you I'll make it up to you.